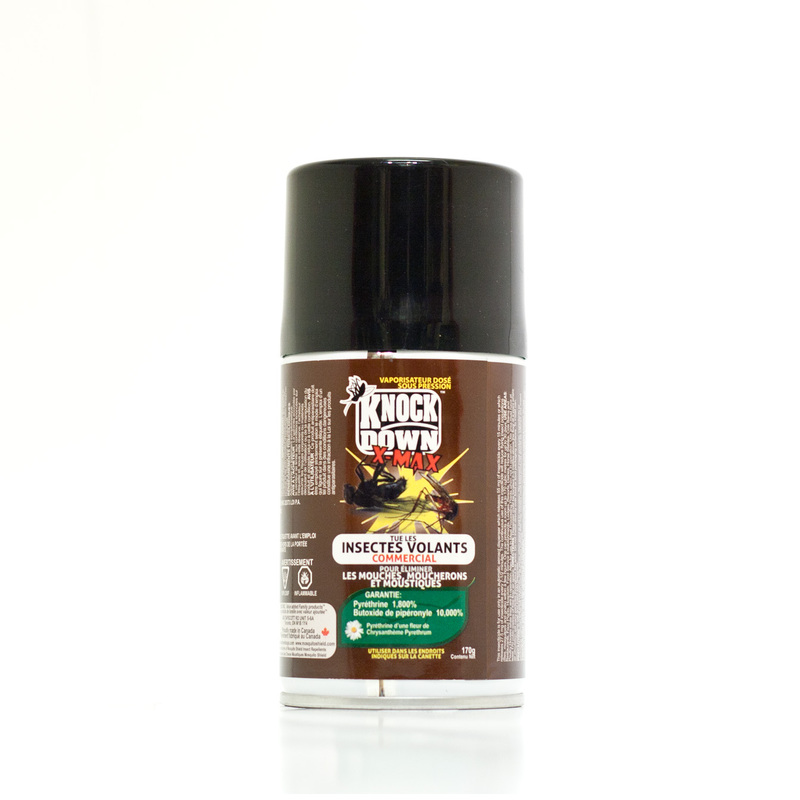 KD300C – KNOCK DOWN – X-MAX FLYING INSECT KILLER – CSA – COMMERCIAL – KUUS Inc.
SKU: KD300C Categories: Knock Down, Commercial Products - Not for retail sale. Please inquire. This insecticide is for use only in an automatic aerosol dispenser which releases 55 mg of insecticide every 15 minutes or which releases 27.5 mg of insecticide every 7-1/2 minutes. The continuous use of this insecticide will reduce flying insect populations (flies, mosquitoes and gnats) within a few hours. One can protect a room up to 170 cubic metres for up to 30 days. USE AREAS: Restaurants, Food Plants, Hospitals, Food Service Establishments, Lodges, Resorts, Dairies, Horse Stables, Cow Barns and Poultry Houses while they are in operation. Also for use in Meat Processing Plants when not in operation. Use area must have at least 170 cubic metres of free flow air space.